This could just as well be titled Stupid Carrier Tricks #73 but I opted for more of the Animal House theme instead. Sent an application for individual health insurance to a carrier that (for now at least) will remain Nameless. The guy is a little chubby, about 10# over the limit for standard issue. Takes meds for cholesterol. Has borderline hypertension but the doc has not put him on meds yet. Had a bout with stress about 6 months ago. His doc prescribes medicine for anxiety. After 30 days the stressful issue is resolved, he stops the med with docs approval. About 3 weeks after submitting the app, Nameless Insurance Company (NIC) declines to issue coverage. Letter to the applicant to follow. Being the wonderful agent that I am, I call my contact at NIC to inquire. I am told he was declined due to weight + HBP + cholesterol. He reads me the letter which states he was declined due to "psychiatric history". Now I look like a fool. So I go back to the carrier asking a simple (and obvious) question. Which is it? His weight + blood issues or psych? Later I discover a message from an underwriter is left on my voice mail. "We can't tell you because of PHI (protected health information) but what we can say is he was declined for reasons OTHER THAN (emphasis mine) weight, HBP, cholesterol or psych". So . . . you can't tell me why he was declined because of PHI. Can you explain why you can't tell the applicant either? They are supposed to get back with me on that. Just look for the blue guy. He is the one holding his breath . . .
After 12 years of fighting for reform, we welcome new calls for expanding health care to the uninsured. But while it's a start, we and a swiftly growing coalition in California and nationwide, believe these steps are the prelude to true universal health care for California residents. And these new steps are? Our argument is simple: all plans that expand the business of the private insurance industry are doomed to fail because they won't control costs. How can they when their profits, marketing costs and duplicated, look-alike plans currently waste 30% of every health care dollar they handle in California? Why is it, lot's of folks talk about 30% admin costs but no one bother to validate that figure. This is almost 3x the figure I have seen in the past with carriers, yet too many accept it as valid. Governor Schwarzenegger wants to cap the "administrative costs" of the insurance companies at 15%. This is a whopping 12% more than Medicare's 3% administrative cost which is roughly the same as the estimated administrative cost under SB 840 and in the health care systems in virtually every other developed nation! And no one ever challenges the 3% admin costs for Medicare. For what it's worth, Medicare does not adjudicate or pay claims, they farm that out to the carriers. You know, the same ones that supposedly charge 30% to administer health plans. So what does Medicare do for their 3%? This next point is a valid one. Why should we expect everyone to buy health insurance, which is even more expensive than auto insurance, when 25% of the drivers in the state ignore the existing "individual mandate" for auto insurance? The rest of the article is fantasy. There's a populist-driven whirlwind racing across the land, based on sketchy data, fear of the unknown, and a firm belief that the gummint is (or should be) empowered to make sure that nothing bad ever happens to us or our fellow Americans. And no, I'm not talking about (so-called) Global Warming. Recently, the Governor of Texas decreed that young women must be immunized against the dreaded HPV virus. Here in the Buckeye State, a similar effort is afoot. Other states are even now taking up the banner of this "righteous cause," whose proponents consider those with reservations dangerous, misinformed, misogynistic, you name it. After all, who could be against the health of our children (see, men are susceptible to HPV, as well)? Well, I am, for one. "But Prof," you may cry, "you have two (lovely) daughters of your own, surely you want to protect them?" HPV is the Human PapillomaVirus (no relation to Papillon, of course), which is a virus that causes abnormal tissue growth (warts) and is often associated with some types of cancer. The Centers for Disease Control suggest that up to one fourth of American women (ages 14 to 59) are infected with the disease. And how do they know this? Oh, very simple: by testing vaginal swab specimens from less than 2,000 women. Yup, that's right: less than 2,000 out of an estimated 100 million women in this age cohort. Gee, what a great statistical model! And then there's the question of just how dangerous this "menace" really is: less than 3,700 American women are expected to die from HPV related cancer this year. While that's a terrible tragedy, let's keep a bit of perspective, shall we: about 4,000 people die in fires every year; almost 5,000 drown; 5,500 are hit by cars and die; heck, food poisoning kills some 6,500 folks every year (if we assume, reasonably, that half of those are women, then why aren't we outlawing food?). And by the way, why just daughters? Dr. Eileen Dunne, the CDC's lead, um, person on this issue, says that "HPV prevalence is thought to be high in men as well, but none were studied." Gee, thanks! There doesn't seem to be a percentage-based definition of an "epidemic," but according to at least one, it's characterized as "(t)he occurrence of more cases of a disease than would be expected in a community or region during a given time period." If some 25% of women (and who knows how many men) have now been infected by the HPV, then why hasn't the CDC called it an epidemic? Gosh, how many people have to become infected? Now, I won't pretend to advocate that people avoid this vaccine like, well, the plague. But I darn sure can't agree that it's the role of our government to force our daughters (and again, why not our sons? Are they disposable?) to be vaccinated against a sexually transmitted disease. And no, I don't have my head buried in the sand: remember we talked about risk? Well, look again at those stat's about other causes of death. We could easily outlaw swimming pools and cars, require homes to be built of concrete and furnished 100% with non-flammable items, and eat only specially processed (nuked?) foods. Why aren't the nannies pushing for that? Bonddad on daily kos explains the perverse results that the profit motive provides in the health insurance market: put simply, insurance co's make money by collecting premiums and earning money on the float, not by paying claims. It may well be economically more feasible to deny coverage than to provide treatment. While it is true that denying claims does protect profits but if claim denial is abusive then revenues AND profits are depressed. When you take into account the present legal environment, the incentives are actually far worse than they appear in his article, as the Supreme Court through ERISA preemption (which protects HMOs from state law liability for negligence) and its recent punitive damage awards cases provide large incentives to cheat. I would commend those interested to read about the insurer's practices in STATE FARM MUT. AUTOMOBILE INS. CO.V. CAMPBELL (01-1289) 538 U.S. 408, in particular the manner in which State Farm not only created a conscious policy to deny coverage to its automobile insureds, but punished those employees that refused to engage in the company practices. While there is a world of difference in casualty insurance and health insurance, the point is not totally lost. The author is suggesting that (in this case) State Farm purposely and maliciously denied claims based solely on a mathematical calculation. What is overlooked is that State Farm also recently announced they would no longer write or renew certain lines of coverage in Mississippi due to litigation. This runs counter to the authors argument that it is more profitable to deny claims than it is to pay them. The insurer may collect premiums for coverage it has no intention of honoring. If less than 10% contest these decisions, it's a no-brainer; the corporations interest is in denial. If the coverage is even remotely fuzzy, then it denies. To protect itself from really bad facts, all it has to do is pay some of those claims. It's still better off, despite not having honored its obligations. Refusing to honor its' obligations. The fact is, claims are routinely denied for being extra-contractual. In other words, the claim is not a covered item according to the policy language. When the courts intervene and apply a broader standard than is allowed by the contract, a contract whereby BOTH parties agreed, then the risk to the carrier becomes incalculable. This is like going into a gas station, pre-paying for $10 worth of gas but continuing to pump until your tank is full and then driving off. Gas stations would not be able to stay in business very long if this became a habit and courts decided that the owner of the car was ENTITLED to a full tank, regardless of what their contractual agreement covered. Cavalcade of Risk #20 is up! Renthusiast hosts this end of February issue, with some new faces, interesting categories, and helpful commentary. The Renthusiast can tell you, hosting a Cav is fun, easy, and a great traffic booster. For your chance, just drop us a line. International HR (Human Resource) firm Hewitt Associates recently surveyed some 100 larage companies here in the US. These companies represented about 2 million employees between them, so we're not talking a lot of Mom & Pop Shops. This week's Carnival of Personal Finance has a celebrity theme (in honor of the Oscars, one presumes). It's a literally star-studded gala of interesting posts, hosted by Henry and Matt at Binary Dollar. I'm not sure what to make of the fact that our own Mike Feehan is represented by the Guvernator (has the host been reading some of Mike's previous posts?). And it appears that Joe Kristan, at Roth and Co, must be smiling enigmatically. I'm not sure why, but his post on the importance of accurate record-keeping is a classic. Everyone in the health insurance business has had the subject of overrides come up during their career. Either they have taken part in them, wish they could have, or declined to be part of this monetary form of bribery. Agents and brokers who did “partake” enjoyed extensive additional compensation based on how much business they placed with a certain carrier. They built huge agencies, enjoyed huge lifestyles and grew huge egos. And they steered business to companies that paid the most, keeping out of competition those companies that paid them the least. Some of that compensation is believed to be 2, 3 or even 4 times the regular commission being paid. No one knew what was being paid and it was never disclosed to the customers. This was the equivalent of the Wild Wild West! In the last two years the Ohio Department of Insurance has investigated this practice in Columbus and other areas (yet to be announced), solicited agreements from Anthem and United HealthCare on the subject, and has recommended the suspensions of agents who have misled their clients regarding compensation. Now Anthem has publicly said they pay “no overrides” of any kind to any agent, just “regular commissions” and any bonus due. While this remains true for the most part, how would a certain local agency pay a starting account manager $70,000 a year, expand and open 2 new offices in Columbus and Cincinnati, continue to hire non-sales personnel and remodel their palatial headquarters every few months with lots of bling? And pay their producers 50% of the standard commissions to boot? By way of comparison, most large agencies pay their “producers” (that is, the agents who actually write the business) 30 to 40 percent of the commission, and little (if any) of any overrides or bonuses. If a “mega-agency” can afford to pay its producers 20 to 25% more commissions on a given piece of business, it seems likely that it’s making more than “the normal” compensation. Pretty amazing if this is going on! Is this another Marsh situation? Is this a level playing field for all? Will competition be eliminated even further? And will the smaller agent be gobbled up by the big agent? The Federation of American Hospitals on Thursday plans to announce a proposal that would require all U.S. residents to obtain health insurance, the New York Times reports (Freudenheim, New York Times, 2/22). FAH released the proposal on the group's Web site on Wednesday and will discuss the plan at a press conference on Thursday (AP/Boston Globe, 2/22). Under the proposal, which FAH hopes might become part of federal legislation after the 2008 presidential election, residents would have to enroll in health plans offered by employers, purchase individual health insurance or obtain coverage through public programs. According to FAH, the proposal would increase the $900 billion that federal and state governments spend annually on health care by $115.2 billion. The proposal does not indicate a source for the additional funds, "raising immediate questions about the political viability of the plan," the Times reports. The source should be obvious. hospitals last year treated more than one million uninsured residents in emergency departments at an estimated cost of $1 billion to $1.5 billion. Cost of treating uninsured, up to $1.5B. Cost to taxpayers to cover everyone, +$115B. So what is the extra $113.5B for? In this week's Dispatch, we revisit a previous IB post on how new legislation can help turn health care expenses into tax savings. News From the "D'uh! Dept"
It’s often called the “echo chamber” effect, and it’s easy to get sucked into it. I have a few more thoughts on this, but I have to get to, well, you know. SPECIAL NOTE: We've been selected by Blog Carnival as their Featured Carnival for February 23rd. We'll be "splashed" all across their homepage all day! Submissions for next week's CoR, hosted by Renthusiast, are due this coming Monday (the 26th). PS We're scheduling hosts for early Spring '07, so don't wait too long to sign up! Shannon Corona had stomach surgery in 2004, but she has not been back to her specialist for a checkup in two years. Her employer, a landscape architectural firm where she is a drafter, doesn't offer health insurance, and she says she can't afford it. Can't afford it, or doesn't deem it necessary to work into the budget? Corona is the kind of Californian who Gov. Arnold Schwarzenegger says would be helped by his proposed overhaul of the state's healthcare system. But compelling everyone to obtain insurance -- the linchpin of his plan -- may not work for many Californians in need of aid, according to health policy experts. Under the governor's plan, nearly 1 million middle-class people would be caught in a tough bind, those experts say: They earn too much to qualify for the insurance subsidies Schwarzenegger wants the state to provide but not enough to afford comprehensive coverage. Only those whose yearly earnings are less than 250% of the federal poverty level -- about $25,525 for individuals and $51,625 for families of four -- would qualify for the proposed subsidies. OK. $25k for a single certainly won't allow you to throw back Cuervo Gold shooters every night, but there should be something left for health insurance. People earning more would be required by law to have, at a minimum, a high-deductible catastrophic insurance plan. Such policies, which the administration says cost about $1,200 per person a year, would not pay for anything until a patient's annual medical costs exceeded $5,000. $1200 per year, $100 per month. That's about 5% of gross income at the minimum threshold. Should be doable. And families could owe as much as $5,000 more in co-payments before insurers absorbed further medical bills. Most folks have less than $500 a year in non-reimbursed medical expenses. Even if they had a bad year and incurred $5k in non-reimbursed medical expenses, how long will it take to pay that down? Considering the average car new car price is $28,400 and many folks buy a new car every 3 years, what is the problem? The liberal left makes a big deal out of $5000 in non-reimbursed medical expenses like it is a big deal. No one seems to worry about the average credit card balance of nearly $9,000 which is usually purchases of things you really didn't need in the first place. How many Ginzu steak knives do you really need? Among other entities, UHC (United HealthCare) owns a third party administrator (TPA) called Definity, and a financial institution (BANK) by the name of Exante [OT: how come there was so much gnashing of teeth when Barnett was handed down, allowing banks into the insurance biz, but when carriers seek inroads into banking, not so much?]. UHC uses the former to administer its Consumer Driven products (HRA, HSA, etc) and the latter to handle the actual funds. As I had long suspected (based on the experiences of my own clients over the past 15 or so years), consumers are using their accounts as savings tools, including investment options as a means toward even greater accumulation. Some 86% of those in CDH plans (HSA-compliant) had opened an account, with an average balance of over $800 at year’s end. Unlike their MSA forebears, HSA plans allow both employers and employees to make contributions (with MSA, it was either one or the other in any given year). And folks are taking advantage of that flexibility: over 2/3 of employers contributed at least some cash to their employees’ plans. What’s more, the average employer contribution was almost $900. And a similar percentage of employees contributed to their own accounts, to the tune of $1,200 (on average). Not too shabby. Perhaps more interesting was the unexpected: nationally, some 60% of those who opt for High Deductible plans actually set up an account. But well over 80% of the folks in the Definity group set them up. UHC hypothesizes that this is due to employers using “an integrated health plan and bank account model.” I’m not sure that’s true: the key phrases here are “employer” and “employee.” That implies that most (if not all) of the 25,000 folks in the survey were covered under group plans. Most employers would want to keep things simple, and thus look towards setting up as seamless an arrangement as possible. Hence, the high percentage of health plans integrated with savings accounts. Not surprisingly, the greatest single influence on the account opening rate seemed to be employer funding; that is, 91% percent of eligible employees opened an account if their employer made a contribution. Anyone that’s installed a qualified retirement plan (401k, SIMPLE, etc) knows that employee participation is heavily dependent on employer participation. The other good news in this report is a decent fisking of one of the more pernicious criticisms of Consumer Driven Care: that such plans favor higher income individuals. Some 80% of eligible low-income employees (those earning less than $25,000 annually) opened an HSA. And over 50% of these made their own contributions to the account, as well. About the only thing that surprised me was that the size of the group mattered. That is, almost 90% of employees in large groups (5,000+) open an account; that drops to about 80% in small groups (1-99). Julie Ferguson, of Workers Comp Insider fame, hosts a terrific Health Wonk Review. In fact, it's the First Anniversary of HWR, and Julie presents a fitting tribute, with 14 excellent posts, and excellent context support. Remember Y2K? Well, we're leading up to DST2k7 (not to be confused with MST3K). Confused? Don't be: read Shahid's post on the potential impact of the new Daylight Savings Time rules. A new group health insurance program for Wisconsin farmers is the first of its kind in the country and will serve as a model for others to follow, designers of the plan said. The program promises to offer comprehensive insurance plans at cheaper rates than farmers could get on their own and with more extensive coverage and benefits. More coverage, lower premiums. Where have I heard this before? U.S. Sen. Herb Kohl, D-Wis., helped secure $4.4 million in federal money that is being used as the initial capital for the program. State law was also changed in 2003 to get the program started. Just felt my wallet being picked. Wonder what the "federal money" will be used for? Oemichen said he expects farmers to have some skepticism as the plan is rolled out in March through a series of meetings across the state, but he hopes once they investigate what is being offered they will see it is a solid choice. He did not have an estimate as to what the average cost for a person eligible under the plan would be, saying there are too many variables to calculate that. Too many variables to calculate the cost, but promises to save money. This may seem too obvious, but if you cannot estimate the cost how do you know the plan will save money? Cihlar said her family health insurance carries a monthly premium of $2,200 and increased 25% last year. Cihlar said she can't switch to another provider because she had heart surgery in 1989 and no one will take her. She said she was "very confident" she will save money under the new program, which won't turn away patients with pre-existing conditions. No underwriting for pre-ex. More coverage. Lower rates. Does the coverage include a rabbit & top hat too? farmers currently must buy individual insurance privately. Those plans typically are much more expensive and have fewer benefits than a group plan. In whose world is an individually underwritten plan less expensive than a "we take all comers" group plan with no medical underwriting? The new plan will have individual and family plans with deductibles starting at $300 for a single person up to $5,000 with a Health Savings Account for a family. Benefits include workplace injuries, something Oemichen said most farmers don't have with current plans, $500 worth of preventative care per member and prescription drug coverage. $300 deductible. No underwriting. Better benefits. Lower cost. Someone has spent too much time at the moonshine still. Regular IB readers may notice that the suffix following my name has changed. I recently earned my CBC designation, after a relatively short but very intensive course of study. The initials stand for Chartered Benefits Consultant, and is awarded by the National Association of Alternative Benefits Consultants. Very briefly, the designation reflects a more indepth knowledge of so-called "alternative benefits" (such as FSA, HRA, etc) with special emphasis on the burgeoning field of Consumer Directed Health Care. Since I've been intimately involved in that last for some 15 years, it seemed logical to make it a bit more "official;" hence, the designation. I'd like to thank the academy...er, uh, my co-blogger Bob Vineyard for manning the fort late last week, as I was in class for two full days finishing up (BTW, his post on Stupid Doctor Tricks garnered the most ever hits for IB -- Congratulations, Bob!). I took the test on Saturday; some multiple choice, the bulk essays on specific case studies. Anyone interested in my final grade is free to ask. Bet you never heard of the Health Opportunity Patient Empowerment Act of 2006 (HOPE). No? Don’t feel too bad, most folks haven’t. Briefly, the Act, aka H.R. 6134, set out to clarify some confusions in how Health Savings Accounts (HSA’s) are managed. FSA: Flexible Spending Accounts. These ubiquitous jobbers were all the rage for a while, because they let eligible employees sock away tax-free dollars for unreimbursed health care expenses (and premiums, and day care). The downside: the notorious “use it or lose it” provision, which requires you to spend any moneys in the account. HRA: Health Reimbursement Arrangements. These relatively new creatures enable employers to reimburse you for medical expenses, but you usually have to spend at least some of your own money first. The upside is, it’s your employer’s money going into the account; the downside is that you can’t cash it out if you leave (although some HRA's let you spend them down post-employment). HSA: Health Savings Accounts. These are descendents of MSA’s (Medical Savings Accounts). Again, you put your own money in, pre-tax, but there’s no “use it or lose it” problem; the money just keeps rollin’ over. And, your employer can make deposits to the account, too. The downside to these is, well, I’ll have to think about that. Really, the major drawback (if it is one) is that you have to couple it with a special High Deductible Health Plan, which neither the HRA or FSA require (although it’s generally a good idea to use one if you’re going for the HRA). IRA: Individual Retirement Account. What the heck’s an IRA doing in this discussion? Well, in case you didn’t know it, you can use your IRA to “seed” a new HSA, if you’re so inclined. Cool, hunh? So, what’s all that got to do with HOPE? Well, in addition to using your IRA to help kick-start your HSA, you can use funds from your FSA, as well. That is, if there’s anything left in it. Since a lot of folks do end up with balances at the end of the year, there’s usually a mad rush for various medical expenses in December and January (the law says that FSA’s may be used up to 75 days after the end of the year; your plan may or may not have that provision). So your local One Hour Lens Mart may see a big spike in prescription sunglasses, for example. But what if you really don’t need to use those funds, but don’t want to lose them, either? Well, HOPE to the rescue. Turns out, the law permits some FSA account holders a one time transfer of unused FSA assets into their HSA (offer good until Jan. 1, 2012), and those with HRA’s get the same privilege. That’s a good deal, because it means that folks can really pump up their HSA’s, cushioning the potential blow of a large claim. For those with an FSA, the deal’s good because it means that they don’t have to use their funds or risk losing them; for those with an HRA, it’s a way to make those funds portable. Of course, if you do move the funds from an FSA or HRA, you don’t get to deduct the transfer from your taxes. But that seems a small price to pay for greater flexibility, and ownership. And in case you’re confused by all of this, the new guidelines include 13 examples showing how IRS officials want employers and employees to apply the new procedures. ADDENDUM: A small, overlooked provision in President Bush's health care proposal would render much of this post moot. One part of his plan deletes the tax deductibility of medical expense FSA contributions. Ooops. The new rules are actually final regulations implementing “Manny’s Law” - a mandate passed in New York about a year ago. That mandate strengthened earlier mandates requiring that hospitals give financial aid to indigent, uninsured patients. Among other things, the final regulations add a requirement to tell uninsured indigent patients that they are entitled to charity care. Sounds reasonable to me. After all why would a hospital want to keep that a secret, especially for a life-threatening condition? Read on. “Manny” is Manual Lanza, a young New Yorker who was turned away from St. Lukes-Roosevelt Hospital in late 2005 because he had no insurance. Doctors and administrators at the hospital insisted he obtain Medicaid before they would agree to treat him. They did not tell him about other financial assistance available thru the hospital under existing New York law or, in fact, offer to help him enroll in Medicaid for which (I’m assuming) he was eligible. Manny subsequently died. For many years, New York has mandated that its hospitals provide care to the indigent. Prior to 1997, hospitals tacked the cost of uncompensated care onto their bills for insured patients. Starting in 1997, New York began to tax insurance plans based on NY hospital benefits paid. Proceeds of this tax are placed into a pool managed by NYDOH and distributed among hospitals in New York. Of course, it’s the insured people who bear the ultimate cost of uncompensated care, whether financed by additional hospital charges or by taxes. The state considers the provision of hospital services to be an entitlement for the indigent, and I agree the entitlement is necessary under present conditions. Because the entitlement is not called “insurance,” indigent persons receive hospital care and are still counted as “uninsured”. This meets the social need while pleasing the New York majority party, too, by not reducing the count of uninsured. 1. The uninsured “problem” is less serious than advertised. Despite the headlines and hustlers shrieking otherwise, “no insurance” does not really mean “no health care”. 2. Fix Medicaid, fix that problem. The number of uninsured Americans rises from the failure of Medicaid to fulfill its mission to insure the poor and working poor - because the clear majority of the uninsured are the poor and working poor. Read the whole Justice Department report here. This theft of data led to fraudulent Medicare costs – paid for by our tax dollars. There is no reason to believe that private health plans are immune to similar thieves who want to cash in on fraudulent insurance claims, thereby driving up the cost of your insurance and mine. How much of this happens? The scary but true answer is: many have estimates, but no one really knows. Patients, their family members, doctors, insurance companies and even lowly benefit managers have expressed frustration at the privacy rules arising from HIPAA. It’s true, these rules sometimes seem calculated to stop all the wheels of commerce at one swell foop. However it's important to understand more of the total story. This case reveals a bit more of the total story - what the government is trying to prevent. Note that this is the first HIPAA violation that has gone to trial. If this is the kind of culprit that the feds are going after using HIPAA, I say more power to them. Sanjay Kumar, host of Simplify This, hosts a terrific Carnival of the Capitalists. In keeping with carnival founder's Jay's push toward greater relevancy, Sanjay culled about half the submissions, leaving, hopefully, "the best of the best." Even so, that's still over 20 terrific posts (including our own Bob Vineyard's submission on the perils of "going bare"). Two posts stood out: Joe Kristan, of Roth & Co, points out that not all public policy problems are necessarily tax problems. And David Maister discusses a true-life ethical dilemna, representing some major bucks and future business, and shows that "honesty (literally) pays." The Carnival of Personal Finance is also up at Stock Market Beat . There are over 40 posts, in 9 interesting categories, with plenty of context, and a beautiful illustration. Surfer Sam has a terrific post on Living Trusts, which are great places for life insurance plans to reside. An elite group of hospitals gets an A+ in saving lives, and empowered consumers want to know which ones. In this week's dispatch, we learn about a company that can help you find out. For the last several years, my family has been covered by a small business plan from Blue Cross of California. We’ve had one of their better PPO plans, with a $250 deductible and a $20 doctor’s office copay. Each year, as our renewal came around, the price has jumped up…most recently from a monthly rate of $1183 to $1358. $16K per year for health insurance is simply too much. We just switched to Blue Cross’ $2400 deductible HSA plan. The premiums dropped by $785 per month…$9420 per year…for a plan with a family out-of-pocket maximum of $5500. This year I’m saving more in premiums than the worst-case annual claims. On top of that, there’s the tax savings on expenses that are run through the HSA account. Altogether it’s not a bad deal. But, now when I go to the pharmacy, instead of paying $15 or $25 per prescription, I’m paying full freight, at least until I meet my deductible. So I decided to call around and see what a few local pharmacies would charge for a month’s supply of my latest cholesterol med, Simvastatin (the generic form of Zocor). The results were illuminating: Walgreen’s: $146 Longs: $88 Target $55 Costco: $13.56. That’s almost an 11:1 range in prices. When I was paying a flat price per prescription, convenience was the determinant factor in filling a prescription. Walgreen’s is around the corner. Costco is 6 miles away. Sorry, Walgreen’s. From now on, I’m driving to Costco. We have in the past taken jabs at employers and carriers over some of the stupid things they do. Today it is time to recognize a doctor for giving absolutely outrageous advice. A lady called looking for health insurance. Seems she has no insurance now and hasn't had any for over a year. She is in good health except . . .
You can see it coming. She has been having pain in her hand so she went to the doctor. During the exam the doc noticed an enlarged thyroid and drew blood for lab work. The doc told her to call back tomorrow for the lab results on the blood. As for the hand, there is no way to know until further testing is done which might include X-rays and/or MRI. The doc told the patient these are very expensive and "you need to get insurance before we do these tests". I told my caller that no carrier will touch her until she has a diagnosis for the enlarged thyroid and the hand issue. Her comment back to me was, you guessed it, "I can't pay for the tests until I have insurance". Well, even if you could GET insurance, the carrier will not cover these conditions (or any testing) until you have a diagnosis. Even then, they may not pay for any treatment of the conditions. "So why do I need insurance if it won't pay for anything"? Let me put it this way. Suppose you had an auto accident yesterday and did not have insurance. Do you think you could call and get insurance today for the accident that happened yesterday? "No, that is just silly". So then, you understand my point. 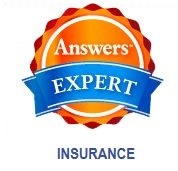 Health insurance is something you take out BEFORE you need it and BEFORE symptoms, illness or injury occur. "Well if I can't get insurance to pay for my tests, or for any treatment, then how do I pay my medical bills"? That is something you should have considered before now. Off Topic - Kind of . . . 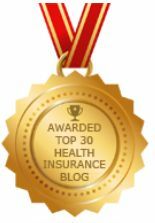 This site is devoted primarily to issues involving health insurance but occasionally we will stray into other areas of risk & financial management. While the story is about a multi-line carrier and their P&C block, the ramifications show what can happen when the courts are involved in interpreting contracts after the fact. This kind of situation can affect other lines of coverage, including health insurance, should the circumstance arise. NEW YORK (Reuters) - State Farm Mutual Automobile Insurance Co. said it will stop writing new policies for homeowners and businesses in Mississippi following a legal battle over damage claims there from 2005's Hurricane Katrina. "It is no longer prudent for us to take on additional risk in a legal and business environment that is becoming more unpredictable," Bob Trippel, senior vice president of the largest home insurer in the United States, said in a statement on Wednesday. State Farm joins other insurers -- including Allstate Corp., its biggest national competitor -- which are cutting back in coastal areas. Among them are American International Group Inc., the world's largest insurer, and Nationwide Mutual, the parent company of Nationwide Financial Services Inc.. This next line is quite telling. "Hurricanes can be insured against, but litigation can't," said Robert Hartwig, head of the Insurance Information Institute, which provides insurance statistics. "Those costs are extremely high." While some will disagree, carriers are in the risk MANAGEMENT business, not risk avoidance. Managing a particular risk involves weighing known variables based on past experience and projecting those variables in to the future. Dollars of the many are exchanged and managed to provide dollars for the few that can be scientifically expected to incur a loss. Insurance contracts are aleatory in nature. In a commutative contract parties give up goods or services of equal value. An example is swapping cash for a home or auto. Aleatory contracts involve amounts that are unequal in nature. In this case, a homeowner may pay $500 per year in exchange for a contract that could potentially pay out several hundred thousand dollars. The amount at risk for the homeowner is small . . . only a few hundred. The amount at risk for the carrier is substantial. When the risk allowance is compounded by legal fees the cost of doing business is too great for the carrier to absorb. Contract language is quite specific as to what is covered, what is not. In this case it appears that emotion over the magnitude of the loss may have impacted the legal decision. This is not the first time emotion has resulted in substantial payouts not predicated in contract or law. The loss of life in the WTC disaster prompted numerous suits against parties not directly responsible for the loss. Many of those suits are still unsettled to this day. Litigation carries a cost that must be factored in to the cost of doing business. When litigation becomes excessive and unreasonable, a carrier's only choice is to pull the plug and walk away. It is possible that State Farm could have stayed in the game, provided their rate structure would be approved by the DOI in Mississippi. As a regulated industry, State Farm is quite literally caught in the middle. They are being forced to pay claims that are not viewed as contractual obligations and any attempt to recoup with higher premiums could be stymied by the DOI. Recently it was reported that many people who live & work close to ground zero in New York continue to have health & respiratory problems. One wonders what kind of impact this may have on health insurance availability and premiums for those in New York. Ever wonder why health insurance costs so much in New Jersey? Maybe it has something to do with the fact that every insurance policy in the state must cover all kinds of services deemed unnecessary by many, including chiropractor visits. New Jersey has 40 of these mandates. Should a resident want to buy a policy that doesn't cover, say, in vitro fertilization, sorry — the government has decided that everyone must have that coverage. In vitro is a VERY expensive procedure. The cost must be shared by all which, in the big scheme of things, may not amount to that much. Still, it is a provision that will benefit only a handful. And the dimes add up . . . The approximately 47 million uninsured in America are a significant problem, but the proposals under consideration do little to address the primary reason for the lack of coverage — very expensive insurance. Of course there are those who can well afford coverage, but simply choose to go bare. If they have a job, or assets, or both, that is a decision they may well regret. Give this lady a prize! Looks like she "gets it". It would make far more sense to give individuals the freedom to purchase policies that suit their specific needs. A bill like the one sponsored by Rep. John Shadegg, R-Ariz., if it had passed, would have allowed individuals to purchase insurance across state lines. Maybe I spoke in haste. Apparently John & Sally have no idea of the MEWA/MET fiasco from just a few years back. So it should come as no surprise that the universal program placing mandates on employees and individuals — passed in Massachusetts last year — is already destined to fail because it is prohibitively expensive. Yup. This has been noted before at InsureBlog. Estimates now show that the monthly costs for an individual will be $380, almost double what the designers predicted. A movement is afoot to exempt those earning up to three times the federal poverty line, or $60,000 per year for a family of four. Exemptions like that hardly constitute a universal plan. The $380 figure is almost double the state estimate. Not a good sign. Let's hope New Jersey learns from the heavy-handed approaches of other states and opts for a more effective approach — like ending the silly requirement that all insurance policies cover things like alcoholism, which most people will never need. Cavalcade of Risk #19 is up! SuperSaver has a sweetheart of a Valentine's Day CoR, complete with mouthwatering illustration. Be sure to indulge yourself! And don't forget, you can host a Cavalcade, too. Just drop us a line. When one of their comrades was struck with terminal cancer, the exotic dancer community in Vancouver, Canada banded together to organize an annual event called Exotic Dancers For Cancer. It was initially organized to cheer up their ailing friend Jocelyne Sioui, but they promised her that they would carry on every year, holding the event and raising money for cancer in her memory. Within the first years after Sioui's passing, The Breast Cancer Society of Canada graciously accepted their donation. So, this year, when Trina Ricketts, founder of the exotic dancer website nakedtruth.ca, received a rejection based on the controversial nature of the fundraisers, she was disheartened and shocked that people still saw their contribution as "dirty" money. 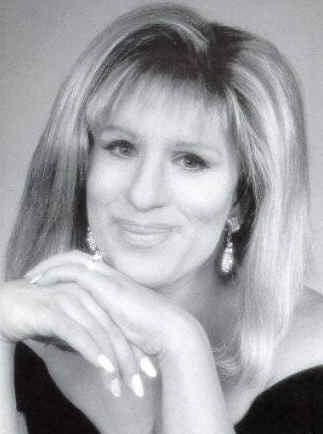 In protest, she contacted the media to "out" the Breast Cancer Society of Canada's discrimination practices. The response has been overwhelmingly positive, and now Exotic Dancers For Cancer can choose among numerous organizations willing and eager to take their money. Not the kind of exposure the Society would want . . .
Everybody keeps saying, well, you know what happens when people don’t have insurance. They go to the hospital when they get sick and it all winds up costing a lot more and taxpayers pay for it. Excuse me, but I don’t have health insurance, by choice. And when I or other members of my family get sick, we go to see our doctor and we pay for it out of pocket. Cheaper . . . to a point. Routine doc visits, most testing and even many meds can easily be paid for out of pocket and insurance is unnecessary. So what happens when you need a $1500 CT scan? The results come back and you need surgery. The hospital wants to be paid for the expected 3 - 4 day stay. The surgeon wants to be paid. Do you have an extra $40k or so laying around to pay in advance for your procedure? If not, you may find the hospital will not admit you and the surgeon will not schedule you until they know in advance you have the ability to pay. Yeah, I know. That's a real bummer. The Chronic Babe hosts a 'Rounds that would satsify any sweet tooth. 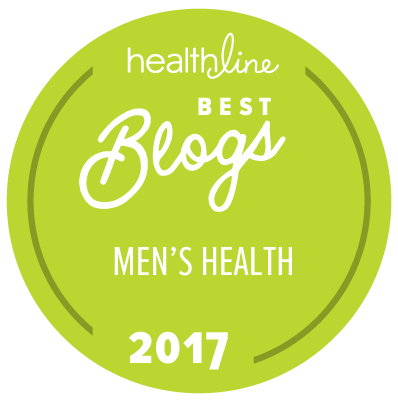 With almost two dozen cavity-inducing entries, you'll be amazed (and impressed) with these nougats of the medblogosphere. Given the theme, it seems only fitting to highlight this Diabetes Mine post, a letter to her pancreas. Well done, Amy! The Wall Street Journal today (13 February) reports the introduction of a Mental Health Parity bill in the Senate. This Bill would build on the Mental Health Parity Act of 1996 and require that, if mental health expenses are covered in an employer group insurance plan, they must be reimbursed the same as other health expenses in the plan i.e., cost-sharing, inpatient care, and outpatient care. Despite its name, the 1996 Act did not require full parity with other health benefits. The current Bill would produce full parity and therefore represents an expansion to mental health benefits in group insurance plans. The Bill requires States to go along, perhaps simplifying the rules for plans whose participants are located in more than one State. Employers having fewer than 50 employees would be exempt. As reported, this Bill claims not to “mandate” inclusion of mental health in group health plans. Plans that presently do not cover mental health expenses would not be required to add such coverage, and plans now offering mental health benefits could delete them; as both of these possibilites seem far-fetched for employers having more than 50 employees, in practice this Bill is effectively a mandate. There is a cost test – if benefit parity would require an increase in cost of more than 2% in the first year and 1% per year thereafter, the plan sponsor may “opt out” from the parity requirement although the nature of future cost tests is not mentioned. The reporting is not clear whether the requirement applies only to insurance companies or also to the group plan sponsors such as employers, labor unions, governments, etc. Understanding this would help clarify whether the requirement falls only on insured plans or might also affect self-funded plans. Apart from cost, I wonder about the effectiveness of outpatient behavioral care. I believe it’s still true that generally-accepted “best practices” and treatment protocols are not so well-developed and uniformly applied for behavioral health as in other branches of health care (where, BTW, substantial variation exists), which I think means there is less assurance of effective care. That is one reason why benefit plans have historically limited the coverage for such care. One thing for sure, the cost of the added coverage will be measured in tangible dollars. The National Institute of Mental Health estimates that 25% of all Americans have at least one “diagnosable mental health disorder”. The providers represented by that organization stand to gain financially from this Bill. I believe NIMH and the behavioral health providers owe plan sponsors and the public in general, tangible and specific explanations as to how patients will benefit from the additional care, were this Bill enacted into law. This week's Carnival of Personal Finance is hosted by 2 Million blog. It's got a Rio Carnivale theme, and it's chock full of interesting financial advice (with a mind-numbing 65+ entries!). Great job! Believe it or not, I did find one that just really stood out: over at the Credit Cave, you'll find an excellent piece on ethical considerations you should explore when looking for a financial planner. ADDENDUM: This week's Carnival of the Capitalists is finally up, but I won't be linking to it. While I'm no fan of "themed" carnivals, I can appreciate that a prospective host may choose that route, if for no other reason than to keep the number of entries manageable. However, it is incredibly stupid to do so without announcing -- in advance -- that one is doing so, and what that theme is. Genetic testing is back in the news, and this week's column has the latest as it relates to insurance and employment. Some time back [ed: that would be July of ‘05] , we reported on a horrific sales contest that rewarded insurance agents who adopted a “Bin Laden strategy” in their sales efforts. Although it was beyond tasteless, it was an essentially harmless bit of corporate stupidity; the only ones hurt were the managers who came up with this idiotic scheme. Basically, the terrorists’ families are instructed to open an account at their local branch, into which will be deposited some $5,000. It’s not really “life insurance,” since there’s no underwriting or an actual policy (among other issues). But since someone has to die in order for a “beneficiary” to collect, it certainly mimics such a plan. Regular IB readers know that we (okay, I) have somewhat of a fixation regarding transparency in health care. I’ve often used the McDonald’s Model (e.g. flu shots: $5, appendectomies $450, etc) to illustrate the point. But we’ve also pointed out that prices are not the only (nor, often, the most important) factor: quality of care and outcome of process are key, as well. As more carriers bring their transparency programs online, and as consumers make more use of them, it seems reasonable that there may be a (for lack of a better word) backlash against the process. Dr Kelly believes that he was inappropriately singled out for exclusion in Regence’s now discontinued rating program. Which is an interesting, if not surprising, development: as such programs become ubiquitous, providers are going to be under increasing scrutiny for cost/benefit ratios. It’s a conundrum, of course; balancing the patient’s right to appropriate medical information and care with providers’ right to practice medicine as they deem fit. Of course insurer’s seek to maximize their profits, as would any other business. But it seems to me that the issue is more complex: the patient also wants to maximize his health and well-being, and any tool that can help him in this regard should be available. Of course, this presupposes that the patient wants to maximize his well-being, and that may not always be the case. There are, of course, instances where using these tools is pretty much out of the question: an emergency heart surgery comes to mind, or a stroke. There are, undoubtedly, countless other such exceptions. But for routine, preventive or elective procedures, having such information available is a necessary stepping-stone to consumercentic care. For their part, doc’s claim that such tools tell only a part of the story: “an insurer may look at an older female patient's claims data and see that she hasn't had a mammogram — information that would reflect badly on a doctor. But that record won't show that the patient simply refuses to get a mammogram.” A reasonable argument. But one wonders whether that is the exception, rather than the rule. Another problem is availability of information. Minnesota BX’s program relies on consistently updated records, but that requires an investment in electronic infrastructure, both at the provider and carrier levels. As more providers move to EMR (electronic medical records), we may see some relief in this area. Submissions for next week's Valentine's Day CoR, hosted by SuperSaver, are due this coming Monday (the 12th). Raising Oregon's cigarette tax to $2.02 per pack would cause smokers to buy 28 million fewer packs of cigarettes per year, but still would generate more than enough money to provide health insurance to all uninsured Oregon children. Maybe GA (and 14 other states where SCHIP is failing) should be watching. According to the Integrated Benefits Institute (IBI), business executives are looking for ways to better manage their employees' health-related productivity. Managing absenteeism and "presenteeism" are also high priority items. One way to accomplish these goals is by reconfiguring benefits packages. Not surprisingly, managing (reducing) healthplan costs is the number 1 priority, but a close second is managing "all health related costs." At least the IBI (and the executives it surveyed) understands the difference between health insurance and health care. 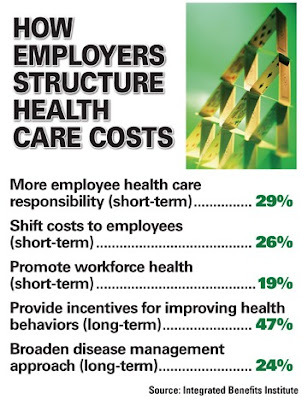 One way these folks intend to rein in costs is by promoting more personal responsibility among employees, including sharing more realistically in health insurance, and health care, costs. We're also seeing much more emphasis on preventive care and healthy lifestyle choices. Again, this shows that employers understand that health insurance costs can be positively impacted by health care costs. Georgia will stop enrolling new children in its health insurance program for low-income families because federal funds are running out, officials said Thursday. Whoa! Federal money? Are these the same folks who want to EXPAND the SCHIP programs and provide Medicare for all? Georgia faces a $131 million shortfall in federal money for PeachCare, and state officials have said it could run out of money as soon as next month, although key state lawmakers have said they will try to kick in state cash if necessary. $131M shortfall. What is Washington doing with our (taxpayers) money? Aren't children a KEY target? Georgia is one of at least 14 states facing a federal shortfall for its state Childrens Health Insurance Program. Iowa's Hawk-I plan, which insures more than 30,000 children, expects to exhaust its budget by the end of June. 14 states in the red. Are you listening Hillary? Obama? Edwards? Romney? Health Wonk Review - 25th Edition! David Harlow, proprietor of the Health Blawg, hosts this week's compendium of policy and polity. David presents some 16 interesting (and diverse) posts, offering a lot of helpful context and useful summaries. "Spring forward, Fall back" may not seem to be strictly "health" related, but Shahid Shah explains why we need to be aware of an important timing change regarding the, well, time change. Way back in the 50's when Hawaii became the 50th state many of the styles of the natives started showing up in stores on the mainland. Men walked around in Hawaiian print shirts crooning "Tiny Bubbles" like Don Ho and women took to wearing flip-flops and muumuu's. As far as I know, the muumuu's only came in one size and everyone wore that size. Now we have states designing health insurance in one size. The board charged with getting insurers to come up with low cost health care plans will take another crack at setting standards for those plans Thursday, board chairwoman Leslie Kirwan said. The goal is to produce health care plans that offer solid coverage but can be afforded by anyone earning more than three times the federal poverty rate _ or about $29,400 for an individual. Call me crazy, but isn't this something that should have been addressed BEFORE drafting legislation? The decision to take another look at minimum standards for health care plans in Massachusetts comes after insurers complained that previous standards set by the Commonwealth Health Insurance Connector _ charged with turning the state’s ambitious health care law into a reality _ were too strict. Impetuous is another word that comes to mind. The goal is to get monthly premiums closer to the $200 mark suggested by former Gov. Mitt Romney. After the last meeting, the board and Gov. Deval Patrick urged insurers to try to find ways to shave costs. The move came after members of the board were told that the average price for the new plans could cost about $380 a month. Mitt Romney? Isn't that Mr. Bojangles? Kirwan, who also serves as Patrick’ budget chief, said the board has little choice but to take a second look at what constitutes minimum coverage. Time to punt on third down. With signs emerging that his signature healthcare plan faces hurdles, former governor Mitt Romney has begun to distance himself from the new law and is suggesting that Democrats will be to blame if the plan falters. Yesterday, after addressing a gathering of conservative lawmakers in Baltimore, Romney told reporters that he cannot be held responsible for decisions that Beacon Hill lawmakers make about the sweeping plan now that he is out of office. "I hope they take action that makes it work even better than I could have thought of," said Romney, who is exploring a campaign for the 2008 Republican presidential nomination. "But if they take action that makes it unworkable, I'll point that out. I'm not going to sit on the sidelines and not have a comment to make." Sounds like he was in favor of the plan, before he was against the plan. Why does this seem familiar? Back in October, Bob reported that New York's newest mandated benefit, the Mental Health Parity Act (aka "Timothy's Law") would take effect with the new year. Beginning some 5 weeks ago, carriers who want to continue marketing in the Empire State must cover mental health claims much the same as they cover any "regular" medical condition. As Bob pointed out, New York's version of MHP is particularly draconian, because it lacks a safety valve that would help contain runaway costs. As you can imagine, this won't come cheap. "But Prof," you might object, "the state general fund is supposed to help subsidize small employers’ purchases of the new mental health benefits!" Um, who funds the general fund? That is correct: the taxpayer. So once again, we have the state foisting extraneous coverage onto an unsuspecting public, which will cause rates (and taxes) to increase. But hey, it's for a good cause. They have established one of the fiercest rivalries in the American economy, attacking one another’s organizations through dueling blogs, newspaper advertisements and news conferences. But this morning, in an extraordinary meeting in Washington, the chiefs of Wal-Mart Stores and the Service Employees International Union will stand together and agree on a series of goals for achieving universal health coverage, according to people briefed on the matter. The two men might even shake hands. And the lion will lay down with the lamb . . . So during today’s meeting, Mr. Stern and Mr. Scott will announce a campaign to seek public acceptance of several principles of health policy. One goal is universal health coverage by a specific date, somewhere around 2012. Another is the idea of shared responsibility, emphasizing that individuals, businesses and government all play roles in financing health care and expanding coverage. Executives from AT&T, Intel and several nonprofit organizations will also participate in today’s meeting. So what makes this any different from other proposals? the icy relationship between the men began to thaw after Mr. Stern wrote an op-ed article encouraging large corporations to work with unions to create alternatives to the employer-based health coverage system, which he said was collapsing. Mr. Stern sent the article, by certified mail, to hundreds of chief executives seeking their help. A shared responsibility between individuals, corporations and government. Other proposals have been one sided with taxpayer bearing a significant portion of the load. This idea seems to incorporate personal responsibility more than other proposals. Or maybe it just seems that way . . . Girls jumping rope chant "one less, one less," in TV commercials for the new cervical cancer vaccine Gardasil, vowing they will be one less cancer patient. But in the real world, Gardasil is getting used less than doctors would like. Pediatricians and gynecologists from Arizona to New York are refusing to stock Gardasil because of its $360 price for the three doses required and "totally inadequate" reimbursement from most insurers. "I still don't have the shot and now I have to decide whether I want to make a $1,200 investment to get them vaccinated," she said. "I really don't want to deny them what I think is right." So your daughter has a RIGHT to be vaccinated? What about parent responsibility? Isn't the health of your daughter WORTH $1200? Dr. Michael Blum, senior partner in a big pediatric practice in suburban Kansas City, said it only provides Gardasil to patients who pay $450 up front, then tries to get insurance reimbursement for them. Only a half-dozen patients have done so. Can't afford $450 to protect your daughter. Someone needs to get their priorities straight. Democratic presidential candidate John Edwards said Sunday that his plan for universal health care would require higher taxes and cost up to $120 billion a year. "The bottom line is we're asking everybody to share in the responsibility of making health care work in this country. Higher taxes. Asking everyone to share. "Yes, we'll have to raise taxes. The only way you can pay for a health-care plan that costs anywhere from $90 [billion] to $120 billion is there has to be a revenue source," the former North Carolina senator said on "Meet the Press" on NBC. $90B+ to cover 47M. That's about $1900/year per uninsured. Wonder where he got those numbers? Edwards said his plan would aim to provide health-care coverage for the 47 million people who now lack it and reduce the cost for middle-class families, partly by making health-care programs more efficient. More efficient. This from a guy who made millions filing med mal suits. To accomplish all this, Edwards said he would expand Medicaid and a program that now provides coverage to 6 million people, mostly children, and provide federal health-care subsidies. Well there are a few issues with this. Medicaid is failing in most (if not all) states. Federal funding has been cut back. Many states are kicking folks off who were previously covered and making it more difficult for new applicants to qualify. Doesn't anyone bother to check the facts before taking politico's at their word? The state may have to step in and set health insurance rates if insurers are unable to create cheaper plans on their own to comply with Massachusetts' historic bid to expand coverage, a leading legislator warned on Wednesday. "They need to get the message that they need to help us make this new law work," Sen. Richard Moore, D-Uxbridge, told the Boston Business Journal. The state issued the mandate. The state set the benefit levels. The state estimated the cost would be $200/person. The carriers said the plan would cost closer to $380 per person. Now the state is telling the carriers to get their pricing in line if they want to be a player. You don't suppose carriers will simply refuse to offer coverage if they can't get their price? Moore said his comments are a warning to insurers that some legislators and health care advocates will push for the regulation if the revised rates aren't affordable enough. You WILL comply with our demands! MA may have a bigger problem on their hands than they ever anticipated. Initial proposals filed earlier this month by health insurers in the state carried an average cost of $380 per month for individuals who make above 300 percent of the federal poverty level. The Connector Authority required the proposed plans cover at least a few doctor's visits not subjected to a deductible, and insurers say that state laws mandating insurance coverage of a variety of medical procedures will make it harder to come up with an affordable products. Moore told the Boston Business Journal he envisions an "affordable" health plan having a monthly premium of between $250 and $280. Same coverage as before but for 25% less premium. Sure. That's going to happen. Hundreds of people still without health insurance in areas hard-hit by Hurricane Katrina lined up before dawn Sunday for the start of a weeklong event offering free medical care. Bundled up against the chilly wind, people began arriving at 2 a.m. outside the tents and doublewide trailers offering free care in eastern New Orleans. By the time the first 50 had been called into the registration tent, they numbered in the hundreds. I have as much empathy as anyone for the survivors of Katrina, but I have to wonder how many are really in need of care, and how many are just gaming the system? My experience with folks looking online is, they want the best plan available but only want to pay $50/month. I would really love to drive a Maserati but I can't afford the payments. Guess I will have to settle for the old Volvo. Why can't the government buy me a new car? "Oh Lord, won't you buy me a Mercedes Benz"? The health fair is open to anyone from the greater New Orleans area, but is specifically aimed at those who no longer have insurance, are unemployed or who otherwise cannot pay for regular health care. By the end of the week, 10,000 patients are expected to be seen. Anyone want to guess how long the lines will be if we have Hillary-Obama care?